Brexit issue is putting GBP under pressure. 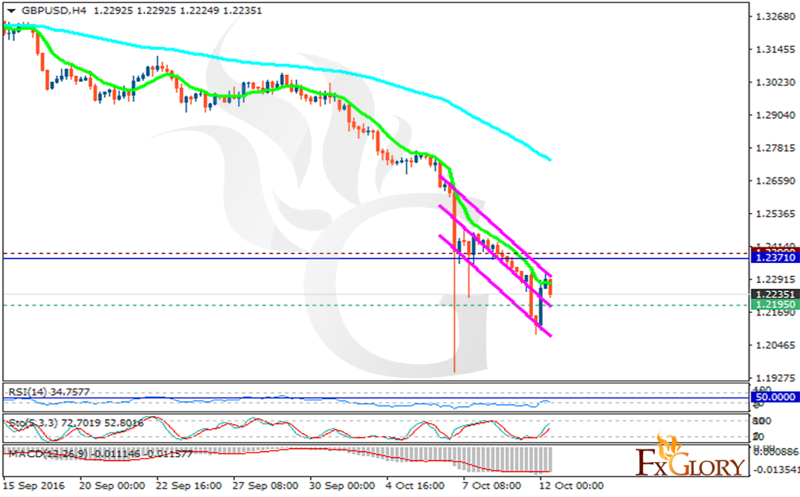 The support rests at 1.21950 with resistance at 1.2390 which the weekly pivot point at 1.23710 is located in between the lines. The EMA of 10 is moving with bearish bias along the descendant channel and it is located below the EMA of 100. The RSI is moving in oversold area, the Stochastic is showing upward momentum and the MACD indicator is in negative territory. The 1.21 level seems a strong support area. The pair will start its correction pattern soon.